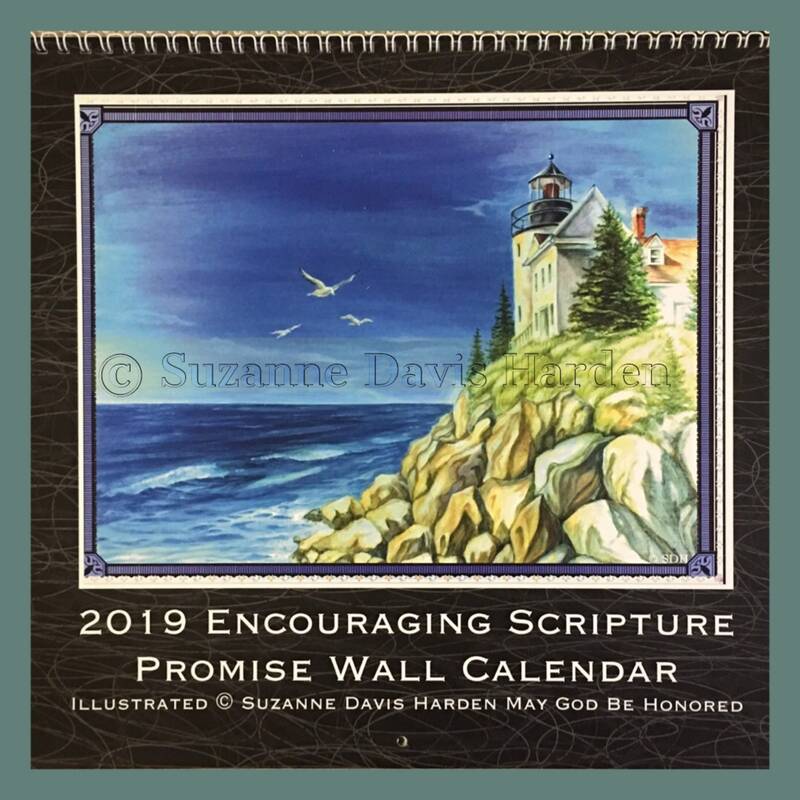 The 2019 Encouraging Scripture Promise Wall Calendar © Suzanne Davis Harden All Rights Reserved. 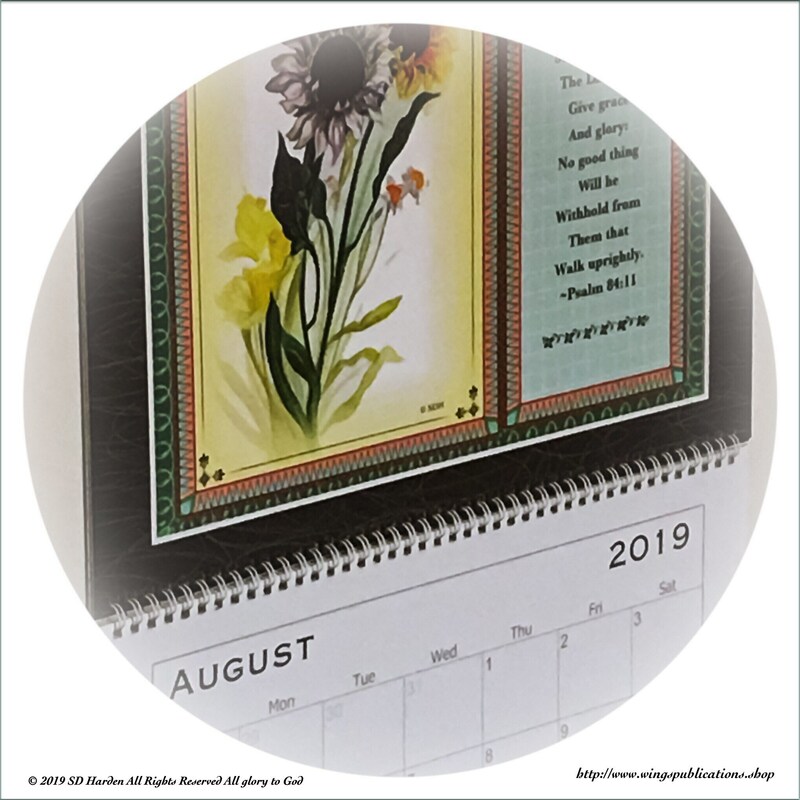 There is nothing so promising, so reassuring to me as having a beautiful calendar hanging on my wall to greet me every morning. If it is winter now, I can look at my calendar and know that the spring will soon come. 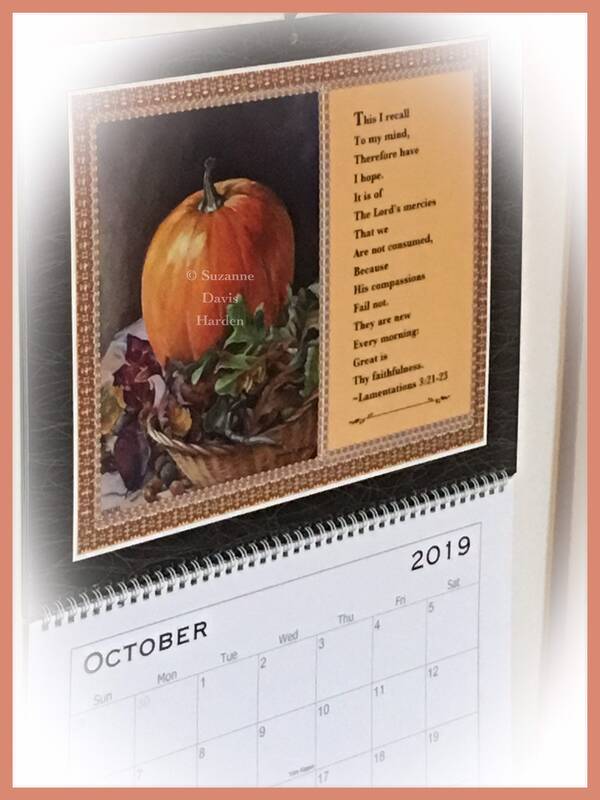 If it is summer, my calendar reminds me that the autumn is on its way, the trees will again be ablaze and the air will once more be cool and crisp. Then what joy it brings me to see that Thanksgiving is just around the corner and Christmas too! 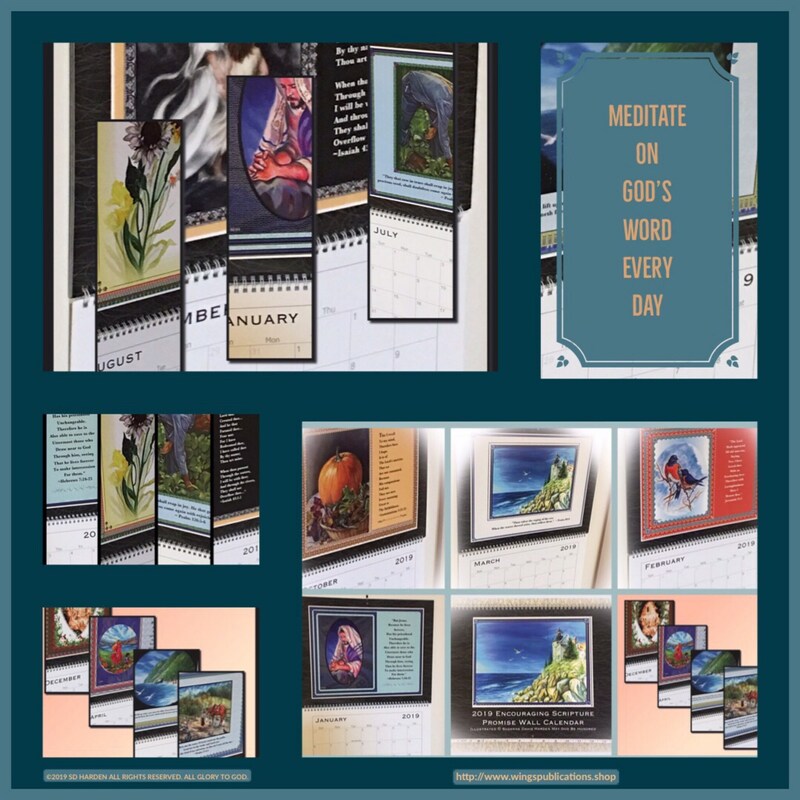 But most importantly, the scriptures printed on each month of this lovely calendar are a daily reminder that God is with us every day, all throughout the year. 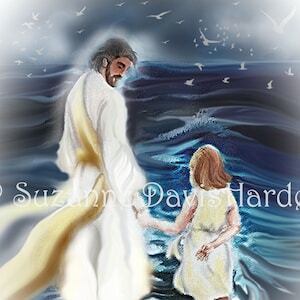 They are a reminder that He will never leave or forsake us, and that He is in control of all things. 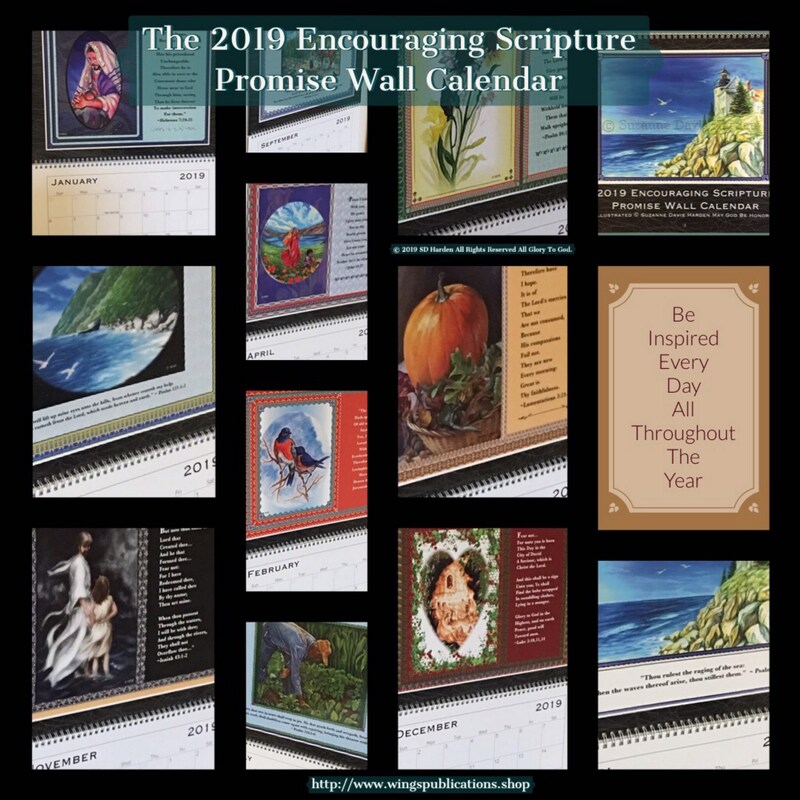 My 2019 Illustrated Encouraging Scripture Promise Wall Calendar features illustrations from my Encouraging and Inspirational Greeting Card Collections. 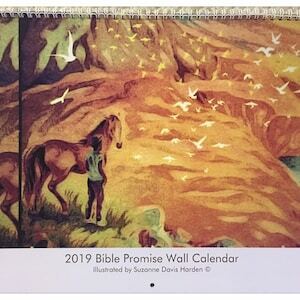 This twelve month Fine Art Wall calendar has extra large spaces on each date where you can write down all your appointments. 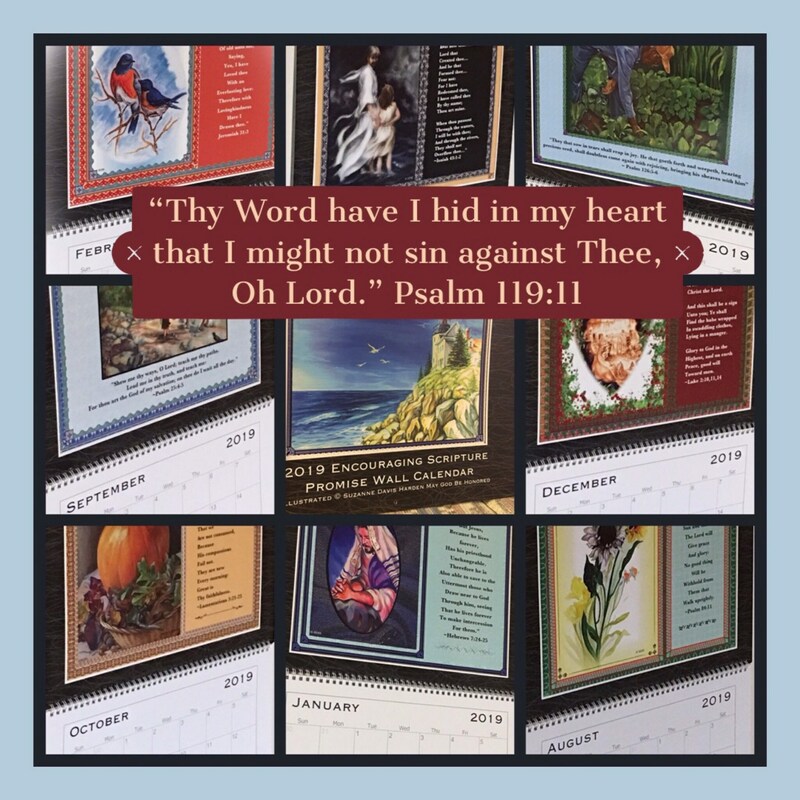 The calendar is spiral bound and measures 14" wide x 11" inches tall. When opened and hung on the wall. 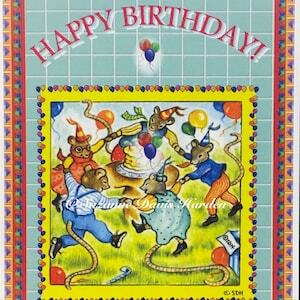 The calendar measures 14" inches wide by 22" inches long. 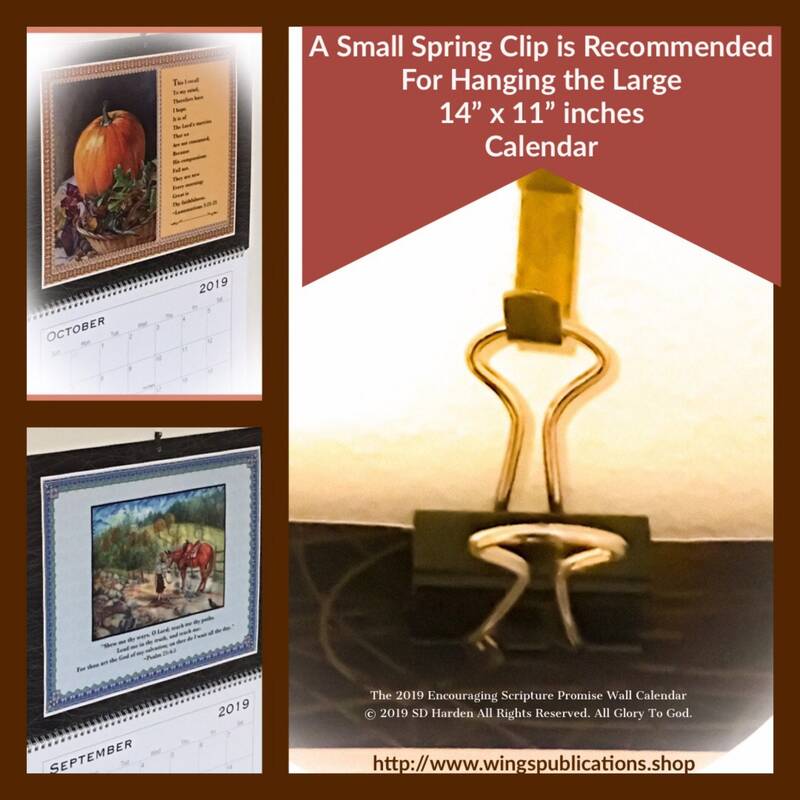 A small spring clip is recommended for hanging the large calendar, but not necessary. Printed on high quality fine art stock, each painting is beautifully represented in full color and is filled with rich details. 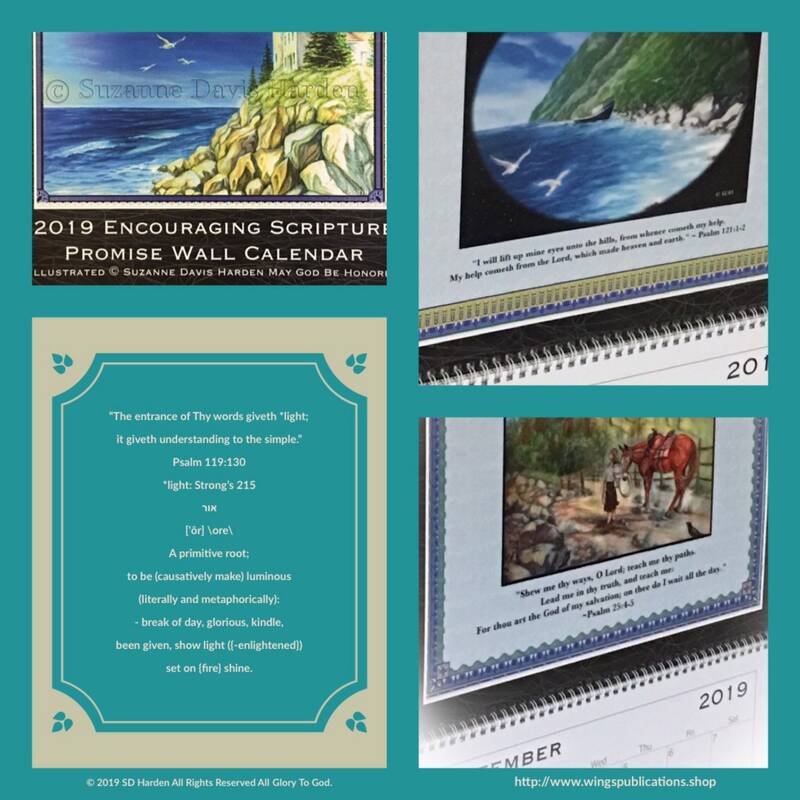 Each month features an encouraging bible promise to encourage you each day as you reflect upon it. 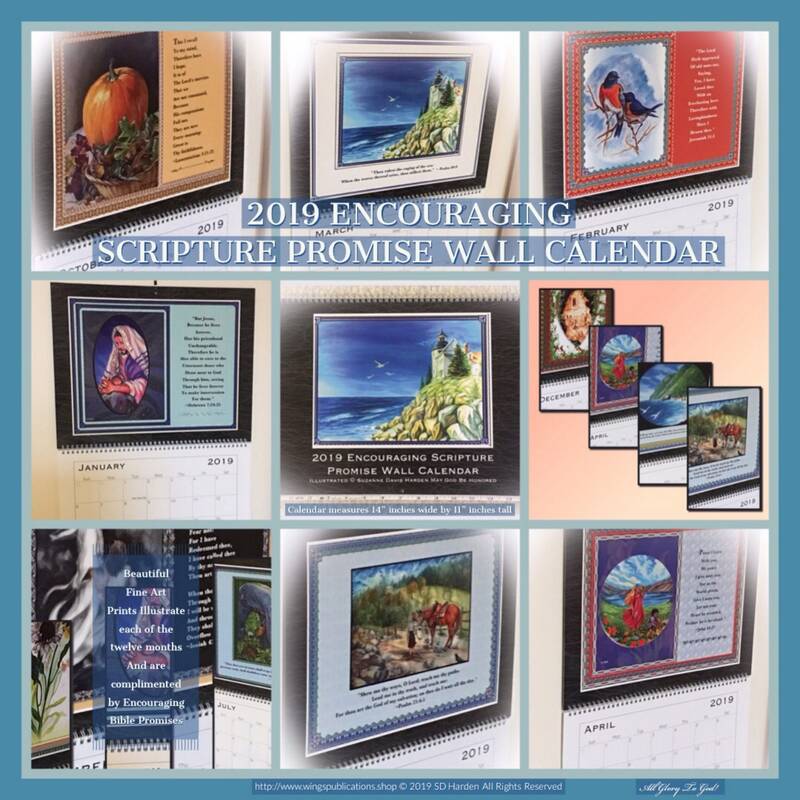 Whenever you look at this calendar you will be inspired by the affirming promises from the eternal word of God. Nothing motivates our faith like reading and listening to God’s word. 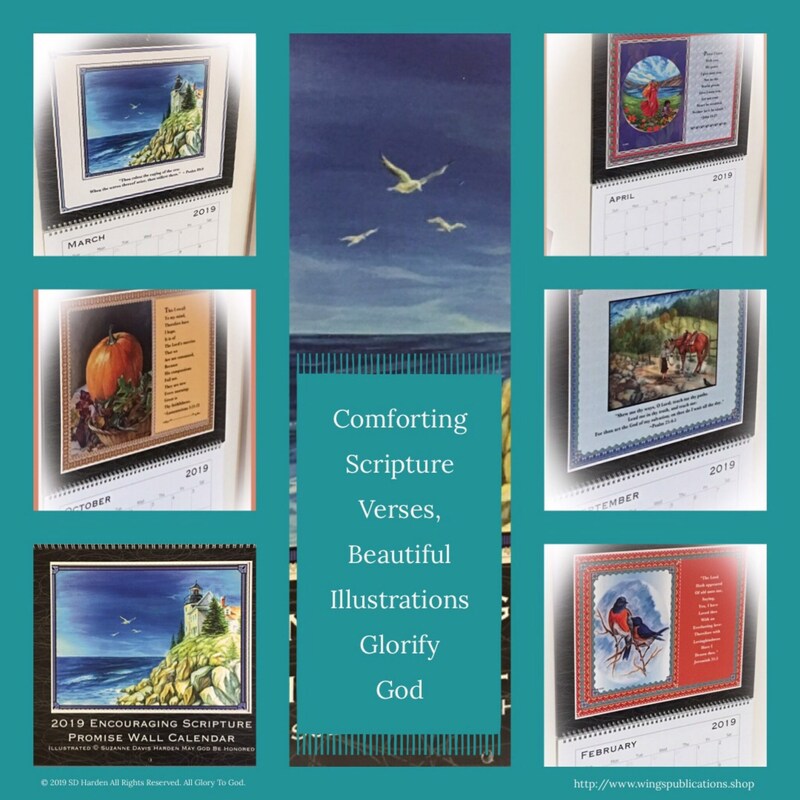 At the end of the year, you can frame these beautiful high quality prints from your fine art calendar and display them around your home, or give them away as gifts. *Please see photos for more details. 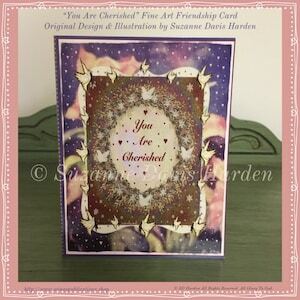 I have watermarked the calendar here on my Etsy Site but none of your calendar prints will be watermarked.